Just a few footsteps away. This store does not have fixed hours. If it is closed you can visit us at Grendel 6, which is situated right next to this store. 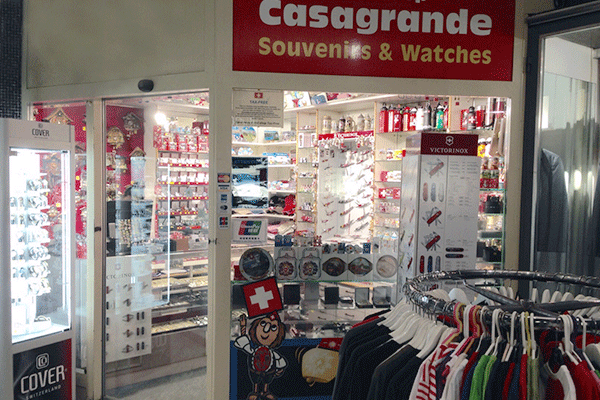 Discover the neat selection of iconic swiss souvenirs and watches. It’s the first chance to buy Souvenirs as you hop off your bus at Schwanenplatz and the last too, before you leave this pearl of a town at lake Lucerne.